This is an Excel version of the practices of the GRC Capability Model (Red Book), which can be used to develop a gap analysis report , role assignment worksheet, or other application. It may be loaded into supporting technology for internal company use. 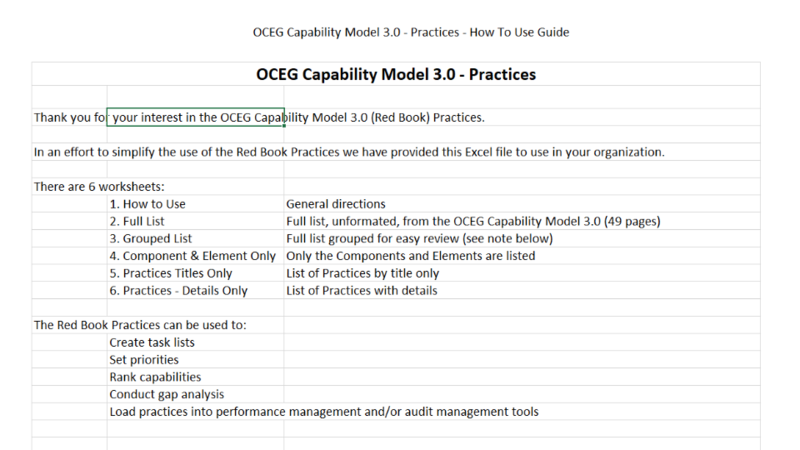 We have emailed instructions to access OCEG GRC Capability Model (Red Book) v3 Practices to . Make sure the email arrives in your inbox: either add "support@oceg.org" as a safe sender to your email platform, or if you use Gmail, drag our email into your Primary tab.